Audi dominated rally racing in the early 1980s with the Quattro race car, particularly with the Sport Quattro S1-E2.With a 2.1-liter turbocharged five-cylinder engine at 470 hp, the S1-E2 was a Group B vehicle that cut through rally courses extremely well. 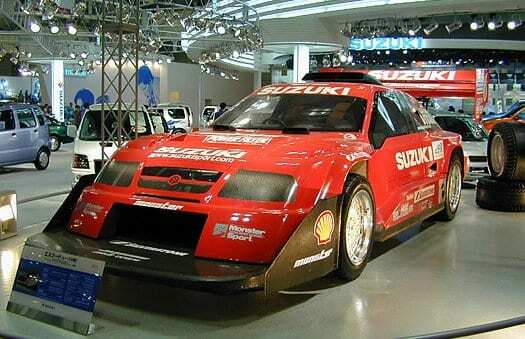 They only stopped racing when Group B rally racing came to an end, by which the vehicle was adjusted to power at 600 hp. 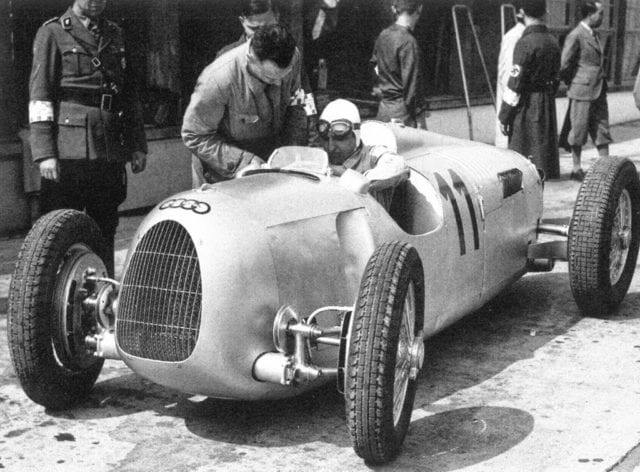 In the mid-1930s, Auto Union was a dominant Grand Prix team on all racing levels with their 12 and 16-cylinder engines, most notably with the Streamliner. The Streamliner had an aerodynamic shape to pump out all of the 560 hp from its engine, as noted during testing on the German autobahn, when it achieved speeds of 400 km/h (248 mph). In addition, to improve the car driving uphill, a set of dual-tires were installed to each side at the back of the car. In Can-Am racing, Chaparral built the best aerodynamics possible. It’s an ugly looking car, but two large fans were placed at the rear and run by another engine that sucked air out from under the car while the side went down just one inch off the ground. Its suspension design allowed the 2J to create a massive amount of downforce, but its unreliability in steering and its cheating ways eventually was banned from racing. The Ford-GT40 was constructed to challenge the Ferrari in long-drive racing, especially at the world-famous 24 Hours of Le Mans, which won four consecutive years from 1966 to 1969. Four kinds of the GT-40 were built, Mark I through IV, with various engines from the 4.9-liter Ford V8 to the 7.0-liter V8. For race car historians, the GT-40is one of the most identifiable race cars in motorsports history. In the 1970s, Lancia built a vehicle to get a traction to its rear wheels which went well with its mid-engine setup. The Stratos HF engine featured a 2.4-liter V6 based on the Ferrari Dino, giving it more of a luxury look than a rally car look. It would win the rally car championship three years in a row, but future versions built later that had the same power went back to a basic feature in racing. 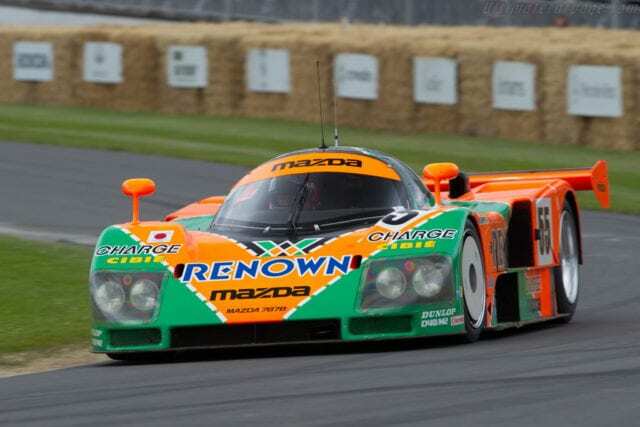 The 787B is the only Japanese car to win the 24 hours of Le Mans, something other Japanese are cars including Toyota, Nissan, and Honda have never done. The Mazda 787B is also the only rotary-powered car to win at Le Mans, powered by it squad-rotor motor that is arguably the best sounding engine in racing. Most notable about the 787B is that, the year it won at Le Mans, it wasn’t the fastest car, but the vehicle won for its fuel economy, going on longer distances without stopping. In 1988, when Ayrton Senna joined Alain Prost at team McLaren in Formula 1, Honda partnered with McLaren, placing a 1.5-liter turbocharged engine in the McLaren’s MP4/4 vehicle. It would dominate Formula 1, winning the pole position and the race itself at 15 of 16 races that year. They would remain the best for the next few years in Formula 1. The Porsche 917 is a strange vehicle that found success in two ways. First, the 917 was built for long-term racing, such as the 24 Hours of Le Mans. Later, Porsche turned the car to the Can-Am racing series, added turbochargers to the big V12 engine already inside, and saw it produce up to 1500 hp in races before Can-Am regulated the engines, forcing it to retire. Built in 1995, the vehicle was featured two turbocharged 2.5-liter V6 engines which made 981 hp combined to power all four wheels. The aerodynamics created strong down forces, creating a powerful moving race car when it comes to uphill rally car racing. Its legacy was later sold with its option game players of Gran Turismo could use in racing.